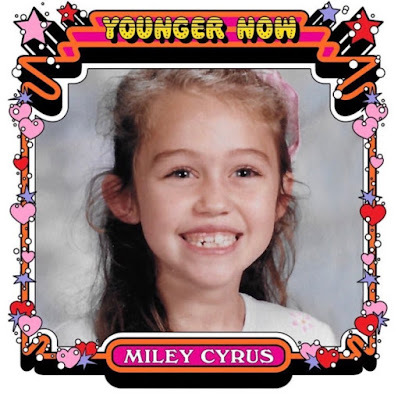 Miley Cyrus has surprised all of us with the release of her new single Younger Now. This is the title track of her upcoming album set to arrive on September 29th and shows us the direction her music is going now. Long gone are the days of heavy poppy-production of her hit album Bangerz! 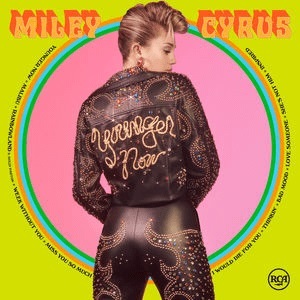 Now Miley ditched the synth use, to focus more on real instruments and pursue a more alt-country/folksy, acoustic direction. Miley also shared the visuals for this single and we can see her dressed like Elvis, dancing with puppets and surrounded by older people, so I guess that's why she feels much younger now, hehe. The song is about the changes she has gone through over the years, and that now she is the best version of herself. Watch it below! I've got to say this is not the direction I thought she would go now, and I am gladly surprised with the change. Younger Now follows her previous single Malibu, both tracks set to appear on her upcoming 6th studio album, Younger Now, set to arrive on September 29th! Check out the album's artwork and tracklisting below!